Share your Harry Potter knowledge with your friends when playing this Harry Potter Trivial Pursuit game. 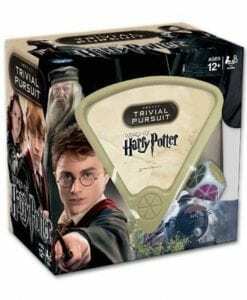 Share your knowledge about all things Harry Potter with your friends by playing this Harry Potter Trivial Pursuit. 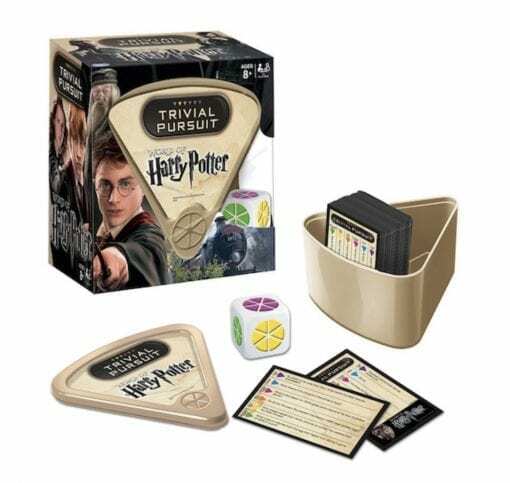 A compact “board game”, without the board makes it easier to play anywhere. 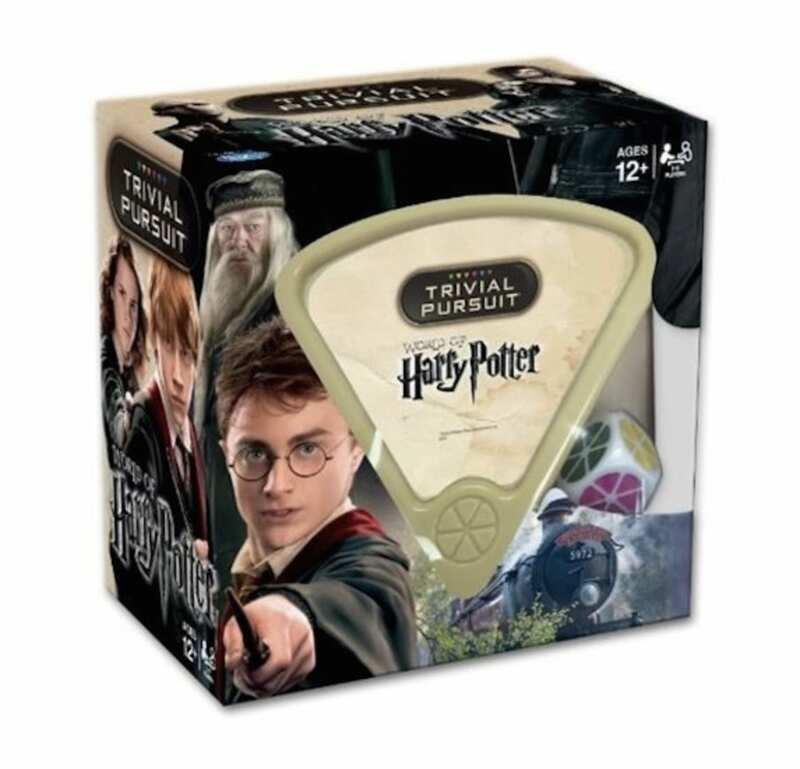 This Trivial Pursuit edition includes a whopping 600 questions based on the Harry Potter films. 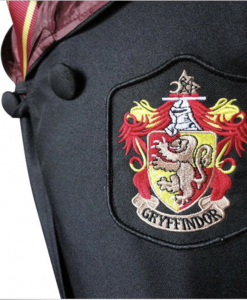 The following categories: The Dark Arts, Hogwarts, Magical Spells & Potions, Magical Objects, Magical People and Animals & Magical Creatures will really test your Harry Potter-ness! 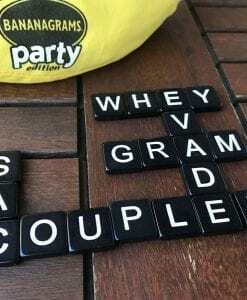 Most fun for 12 year olds and up. 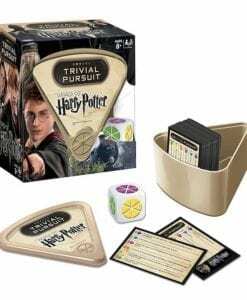 The complete boxed set of Harry Potter books will help you in your quest to confidently answer the trivial pursuit questions. 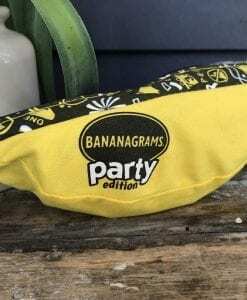 The links on this page take you to a product and business that’s external to Party Ideas in a Box. The links are compensated links, which means that if you decide to make a purchase, I may receive a commission. 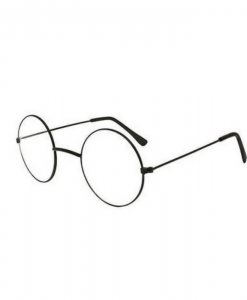 Images courtesy of the partnership website.